Mount St John Equestrian based near Felixkirk in beautiful North Yorkshire specialising in breeding dressage horses to a very high standard.
. Typically they will breed about thirty quality dressage mare per season including a fairly high proportion of embryo transfers from currently competing, elite sport mares. They also have several competition horses in training with elite dressage riders. Emma Blundell heads up the highly skilled team at Mount St John with mother Jill. Emma is a former under 21 GB dressage squad member and continues to compete aiming to reach Grand Prix level in the next few years. 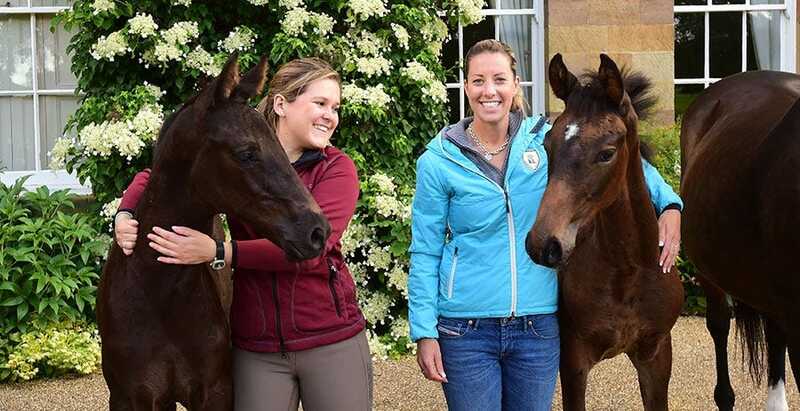 Breeding dressage and sport horses is one of Emma’s passions and she overseas all aspects of the stud and competition management.